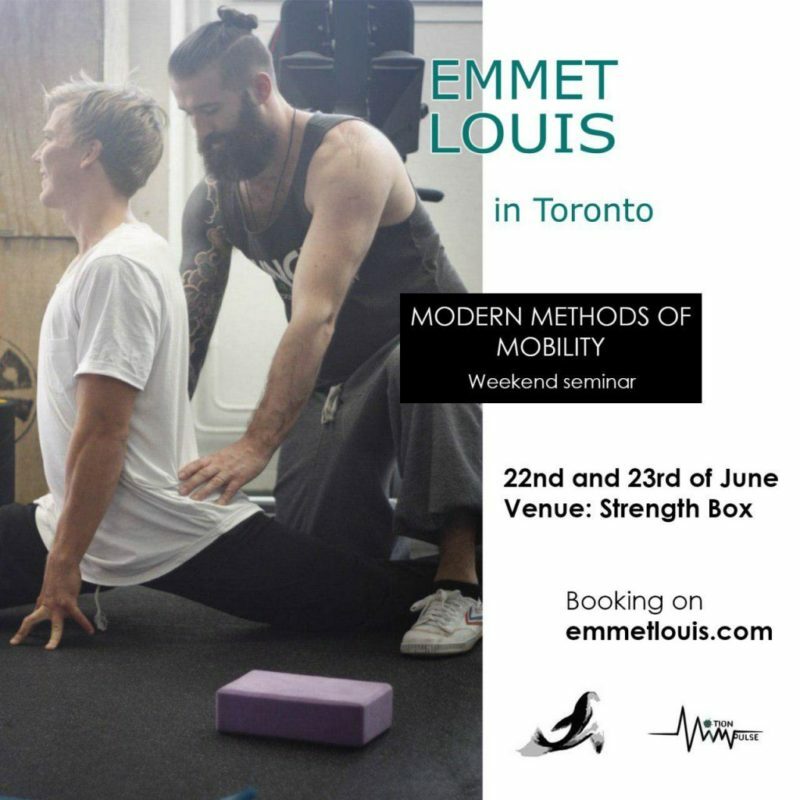 The Modern Methods of Mobility is Emmet Louis’ flagship seminar. Over the course of this weekend you’ll learn how to understand and successfully implement a broad category of mobility and flexibility methodologies. The M3 Workshop is a practice-based approach built from years of experience working with all levels and abilities. With this unique view point, Emmet has been able to get to the base concepts and principles of flexibility development from complete beginner to advanced. He will give an overview of the Modern Methods of Mobility system for increasing flexibility and mobility, as well as deliver an in-depth explanation of his personal experiences in coaching his students via these strategies. Over the last decade Emmet has tested, filtered and selected the most powerful techniques from an extensive and diverse range of backgrounds and disciplines. You will benefit from his trials and errors, and walk away with a host of different methods to safely experiment with. This world-class seminar is suitable for all levels. Please register early to guarantee your spot and to take advantage of early-bird pricing.